It seems a long time since I wrote my last post. We have been busy with tempestuous weather plus running our lives in the normal way, and I have become very interested in adopting a carnivore diet. This is basically meat and water – various forms of meat including chicken, beef, pork. There are some people, did you know, who live exclusively on meat and are healthy. So I went off to the local butchers to buy sizeable quantities of bacon, cubes of beef, a side of beef which I cooked and froze. The person who recommended me said that I should start the morning with eating meat and if I do it properly I will not be hungry again until 4 PM. I’ve only been on this diet now for three days and I find that what she says is correct. I have abandoned milk, most vegetables, Coffee and definitely alcohol. Alcohol produces sugar which sooner or later inflames the intestine. So, time will tell. 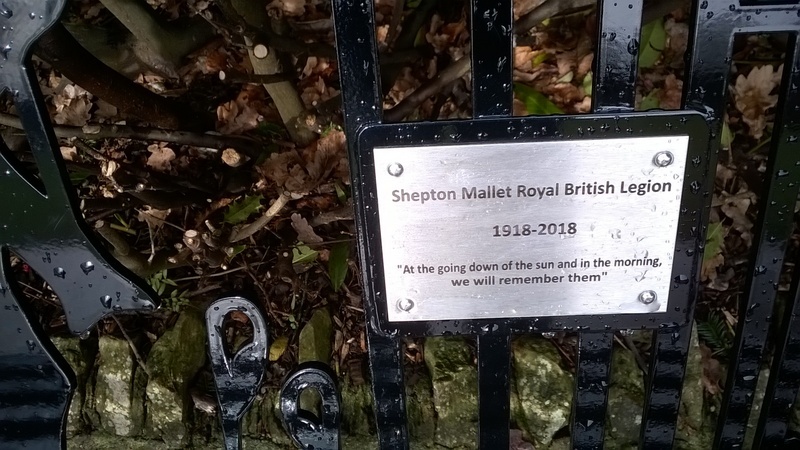 Off we went to Shepton Mallet on a day interposed with sunny periods and showers. 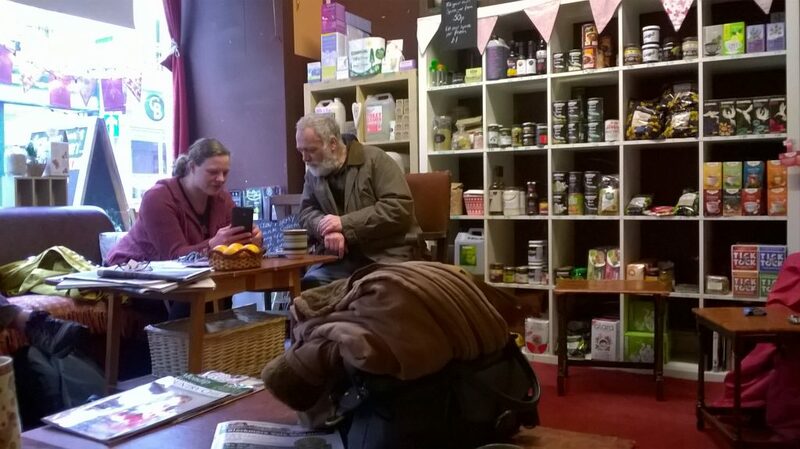 Our main source of entertainment was a small coffee shop run by a fairly eccentric couple. It might as well be the local branch of the Labour Party. It is very much a family affair. Everyone who goes in there is known and cared for and everyone teases everyone. This is a picture of the Austrian owner. His English wife is making coffee. I started chatting with a man sitting next to us called Anthony who is a member of the local Labour Party. Apparently he is a Francophile but could not detect Francoise’s very obvious French accent so we teased him about that. It turned out he was a very interesting chap a musician. He had met David Bowie before he was famous. During the conversation between him and David, a young lady came in asking him for an autograph. She raised her sweater and asked him to sign on her chest – as one does. What a lovely story. He did sign by the way. We also chatted on the topic of the impartiality of the BBC, appearance versus reality and realised that the BBC News had a lot to answer for. He was 28 years in the air force and was one of those sent by Mrs Thatcher to the Falkland Islands. My policy when going out is to talk to absolutely everyone and not make any assumptions. Everyone has their story. 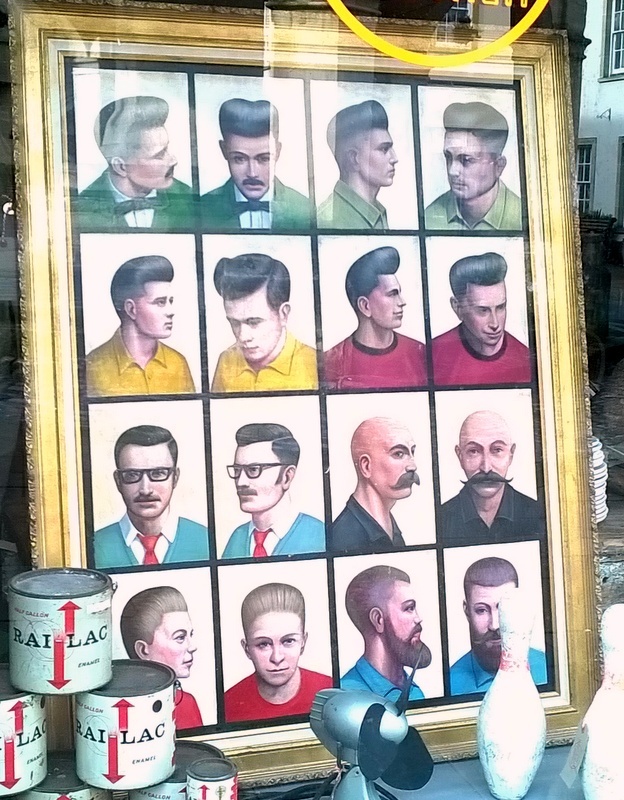 a feature in the window of an antique shop. 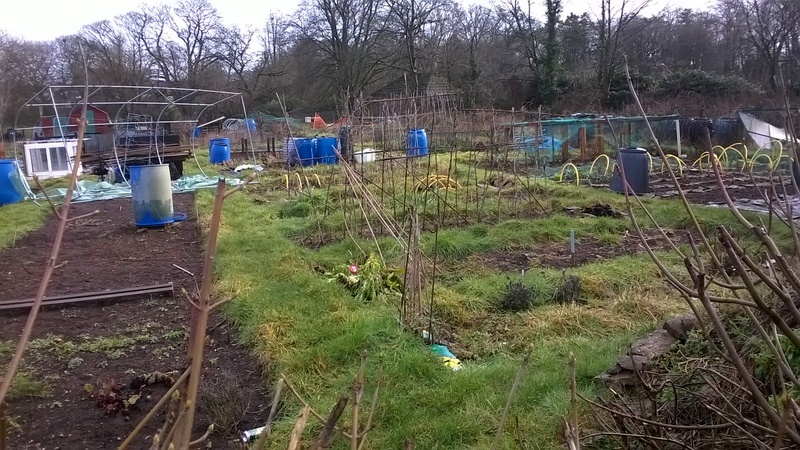 Allotments do not look very beautiful at this time of year but the majority of the plots here need some attention to prepare themselves for sowing in a couple of months. 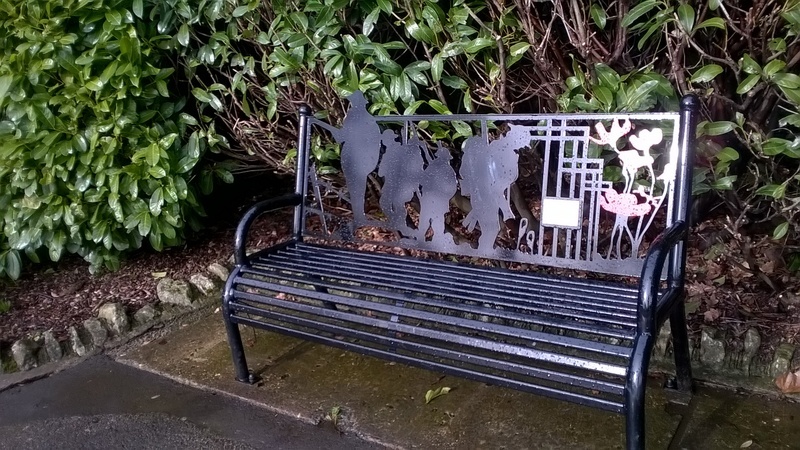 A memorial to the fallen of World War I in the Park in the middle of Shepton Mallet. detail below. in spite of the rain and the cold, a pleasant day. This evening, off to a talk by one of the BBC nature people and a young lady called Bird girl.